Obstetricians are taking acting workshops with coaches from the Abbey Theatre in Dublin to improve communication with distressed patients. The experts are working on improving their care of patients who have lost a baby or suffered an adverse incident in a maternity unit. Leading doctors take part in role play with the drama teachers from the national theatre - acting out real life scenarios where there have been tragedies on maternity wards. It comes amid recent criticism of "insensitive" and "patriarchal" treatment in Irish maternity hospitals. Many upset and distressed women inundated the RTÉ radio programme 'Liveline' over the past fortnight, many recounting traumatic stories. 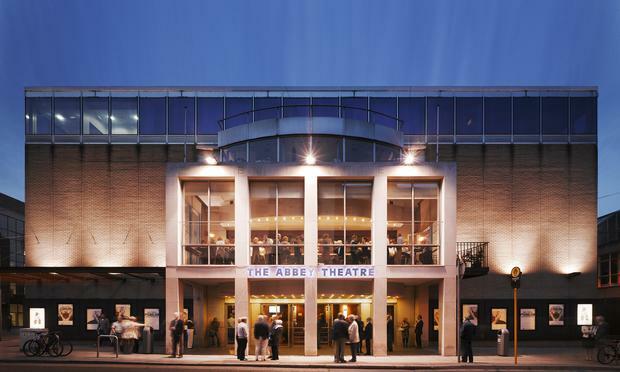 A spokeswoman for the Institute of Obstetricians of Gynaecologists confirmed it has joined up with the Abbey Theatre's community and education department to develop applied drama techniques to train the doctors. The aim is to improve the way they break difficult and sad news, in order to be able to discuss matters with parents. The drama training allows doctors to play out how they would normally react, and then have their performance assessed to see where they have gone wrong and how it could be better. The spokeswoman said communications skills is a mandatory course for all doctors training in obstetrics and gynaecology. In addition, the institute offers a range of courses on communications and open disclosure - where doctors inform patients if a mistake has been made in care. These are open to all doctors working in this specialty, with scientific meetings held twice yearly. The Scally report on CervicalCheck was scathing about the way some women caught up in the scandal were dealt with last summer. Asked how the institute - which is part of the Royal College of Physicians - responded to this, she said it recently held an educational symposium on women's health. This included input from patients about communicating all aspects of the issues that arose as part of CervicalCheck. This was attended by 160 doctors and healthcare professionals. A number of courses and initiatives are being developed from the symposium and a series of practical half day workshops will begin next week on open disclosure. Meanwhile, the Midwives Association of Ireland said it was sorry and disappointed to hear of women's experiences of maternity care, at a time which should be one the happiest of their lives. "We urge these women to contact a health care professional - GP, midwife or obstetrician, their local maternity services or patient advocacy services - for ongoing support and advice, should they feel able to do so," it said. The association said members have listened intently and are sorry for the poor maternity experiences related by these women. The National Maternity Strategy, when implemented, will result in a long overdue and much needed fundamental change in the configuration of maternity services, said the association. There will be a choice of models of care designed to best meet women whose pregnancies may pose various risk levels to them or their babies. Midwives will form the basis of all models of care. Many staff work tirelessly in an underfunded and under staffed system, it added.